The Marmalade Murders is an enjoyable cozy mystery set in a small North Wales village. Penny and Victoria are partners in the village spa. When they get roped into checking in contestants for the local food competition, they discover some irregularities. Why did someone call Florence telling her to check in too late? How did a person’s marmalade win when she missed the deadline? There is a definite small town vibe as everyone is in everyone else’s business. 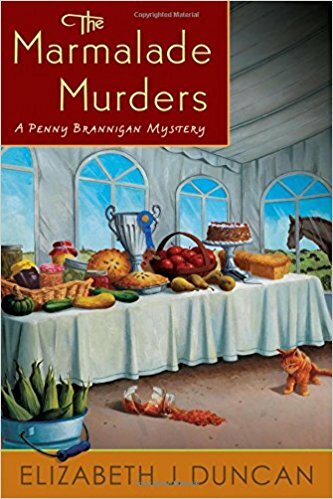 While this is the ninth in the Penny Brannigan series, I had no trouble keeping up with the characters despite this being the first book in the series I’ve read. The location in North Wales seemed like almost a character within the Marmalade Murders. It was pleasant to visit somewhere I haven’t book (or physically) traveled to before. I also enjoyed the setting of a small town agriculture show that included food, floral, and animal competitions. The ages of the main characters were older than most cozies, which was refreshing. While the book’s plot could have taken place any time from the 1940’s forward, it was updated with a transgender character. Overall, a great cozy mystery. 4 stars! Thanks to the publisher, Minotaur Books, and NetGalley for an advanced copy. 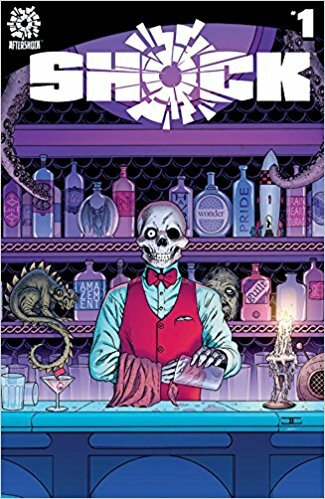 SHOCK Anthology is a collection of 21 completely different stories from Aftershock Comics. Fluctuating genres and art keep any one person from liking all the stories. However, there is something for everyone within: horror, sci-fi, memoir, adventure and some with apparently no plot at all. The new Neil Gaiman is great but too short! SHOCK Anthology is recommended as a broad overview of the various genres, writing styles and art techniques. It will allow fans of a particular story to pursue additional longer-form work by the writer and/or artist. 3 stars. Thanks to Aftershock Comics and NetGalley for a copy. 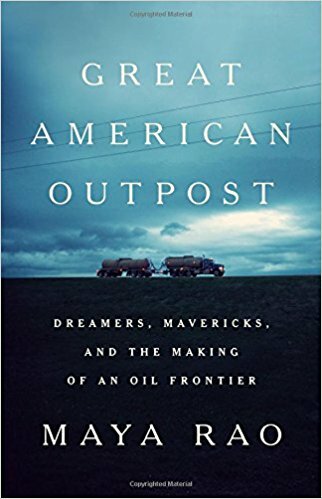 The Great American Outpost is a scattershot memoir of the North Dakota fracking oil boom and its impact on local residents. In 2011, the first horizontal fracking oil well was drilled in North Dakota. What followed totally changed the laid back farming vibe of the state. Out-of-state workers flooded the area in search of unskilled and truck driving jobs paying upwards of $150,000 a year. Many were criminals, drunks and/or avoiding their child support orders. The jails were so full they had to take criminals to Montana to house them. With so many large trucks on the road, locals were dying regularly in traffic accidents. Enterprising locals upped their food prices over 100%. Housing was scarce. One English con man scammed international investors with a resident hotel Ponzi scheme. While somewhat interesting, the Great American Outpost didn’t hold my interest throughout. It needed some editing to mine a coherent plot from its episodic stories of North Dakota’s oil rush. 3 stars. Thanks to the publisher, Public Affairs/Perseus Books, and NetGalley for an advanced copy. 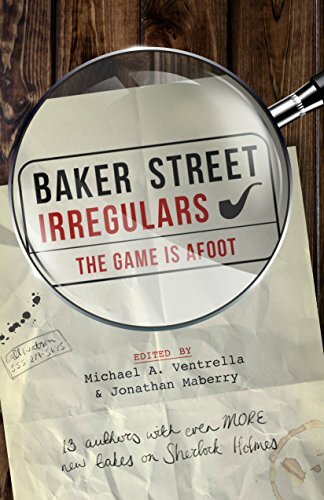 Only Sherlock Holmes unites the unique and disparate tales within Baker Street Irregulars The Game is Afoot. The 13 stories within this collection take wildly different approaches in their homages to Sherlock Holmes. Sherlock is a girl, a native American, a student, a teacher, a librarian, a rabbi and a comic book character. He lives on Earth or Jupiter’s moon, in Australia, in New York City, in the future, in ancient Egypt and on a spaceship. from A Study in Space by Derek Beebe. I also loved the Star Trek/Holmes mashup in My Dear Wa’ats by Hilda Silverman. The most creative story was The Adventures of the Diode Detective by Jody Lynn Nye. Sherlock is a personal assistant like Alexa or Siri. Also good was Sherlock as Santa in Ho Ho Holmes by Nat Gertler. This story has an excellent mystery and conclusion along with the unusual interpretation of the Holmes canon. I enjoyed all the stories. Some were more kitchy than a serious mystery but I liked that too. This book is recommended for Sherlock Holmes lovers that can take a little playful ribbing. 4 stars! Thanks to the publisher, Diversion Books, and NetGalley for an advanced copy.